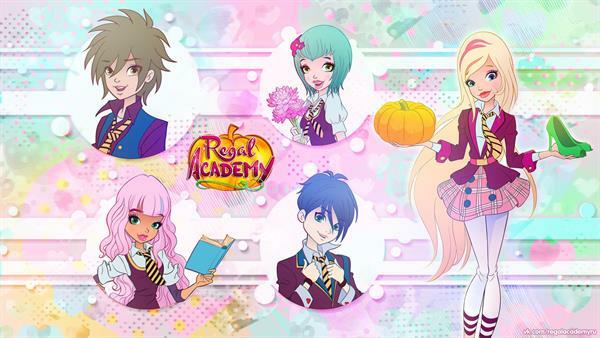 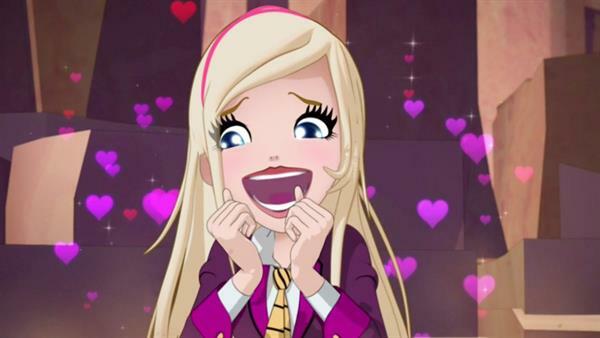 Wallpapers of the TV series Regal Academy of Nickelodeon. 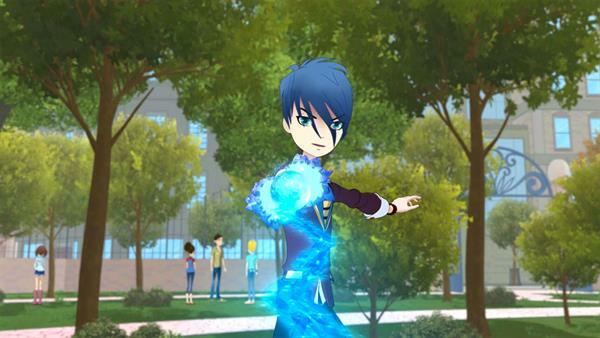 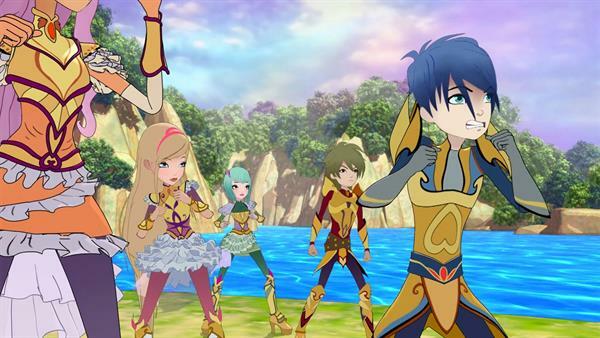 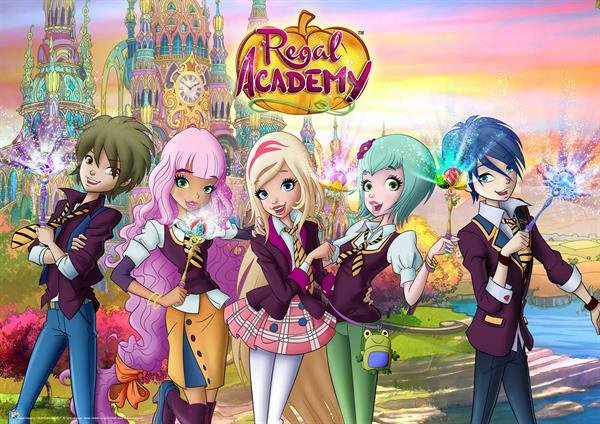 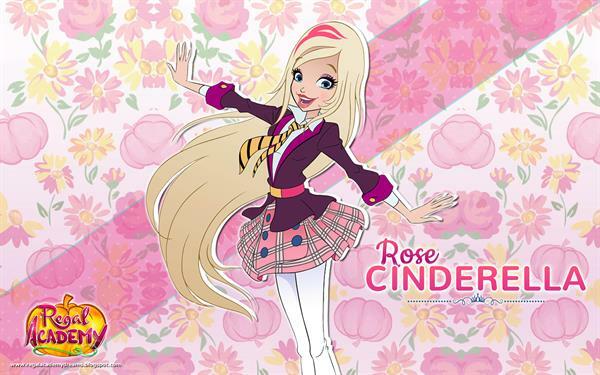 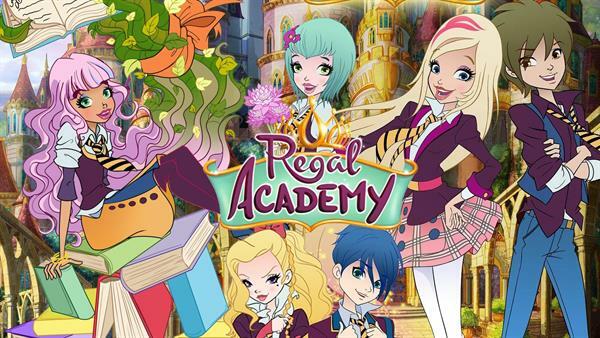 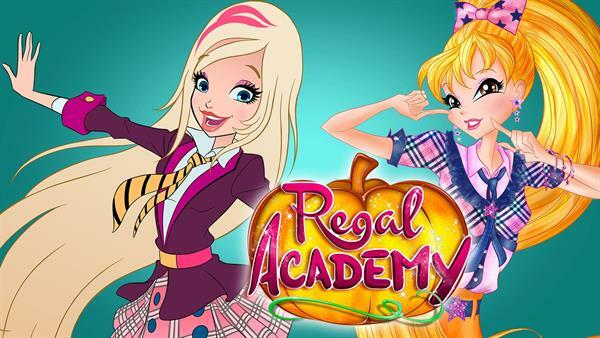 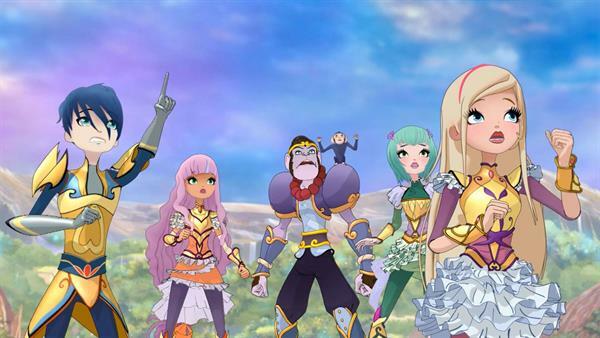 Regal Academy is a funny and exciting TV series based on some of our most popular fairy tales and follows the adventures of Rose Cinderella, the newest student at the Regal Academy. 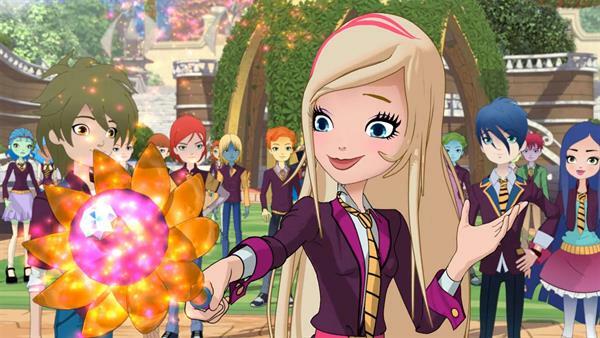 She is also the granddaughter of one of the families that were the founders of the school. 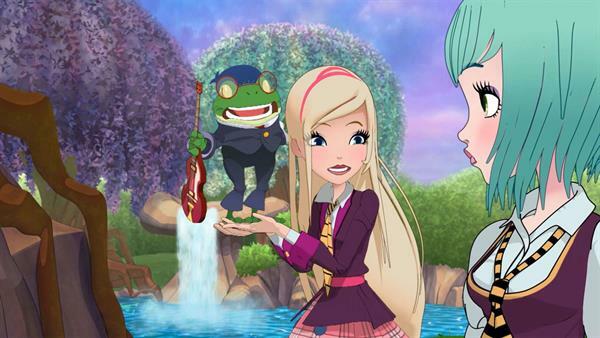 This also applies to the families of her new classmates Hawk Snow White, Travis Beast, Pearl Rapunzel, and Joy LeFrog. 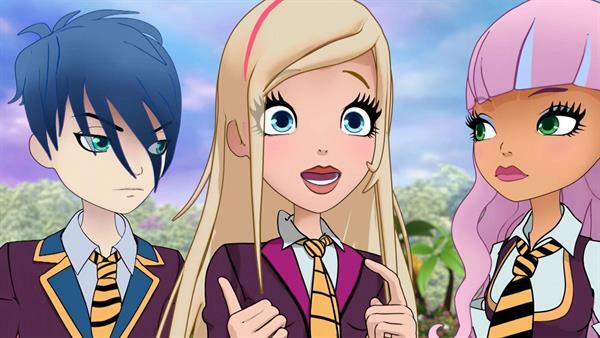 These five famous fairy tales families not only love the school but also the lives of their grandchildren. 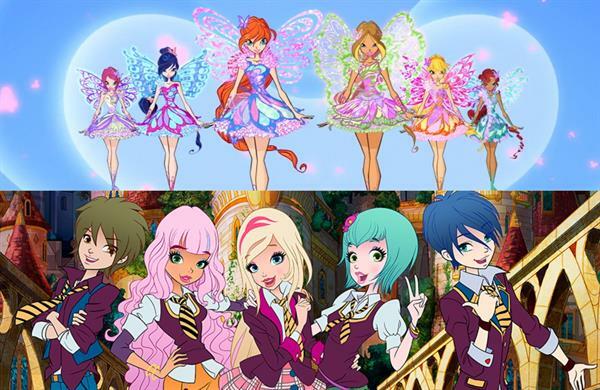 At least they are trying! 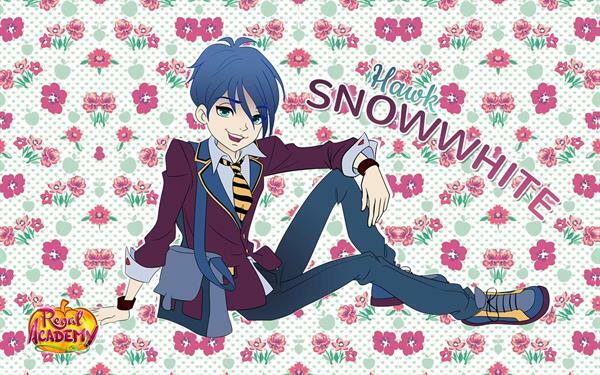 Beautiful as wallpaper on your PC or tablet.